When Savanna first contacted me about wedding planning, something clicked! I knew we would be a great fit working together on her new years eve wedding. This was my first new years eve wedding, and let me tell you, it was a BLAST to ring in the new year with Savanna and Nick’s friends and family! In the months leading up to her wedding, Savanna and I met a couple of times to talk about logistics and design. She had a very luxurious vision for her wedding day, incorporating crisp white, gold and black. 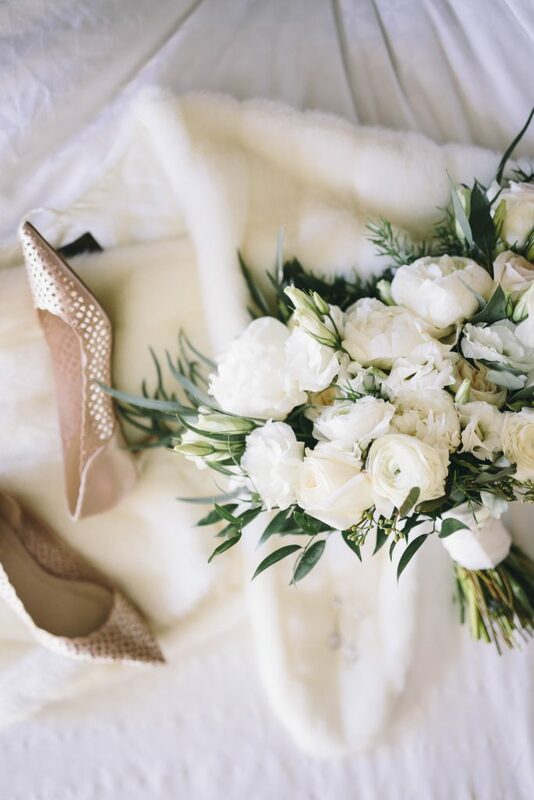 One way she incorporated white was in her stunning bouquet by Couture Florals. How stunning does it look in the picture below?! At our first meeting Savanna mentioned one of her top priorities was to create the perfect atmosphere for guests. Let me put it this way, Savanna definitely succeeded in that! During the wedding ceremony and reception everywhere I looked people were smiling and enjoying themselves. One question I always get asked is “what makes a wedding great?” The honest answer is the people. I have the privilege to work with some incredible couples that have an amazing group of friends and family. For example, Savanna’s bridesmaids were incredibly kind and welcoming on the wedding day. 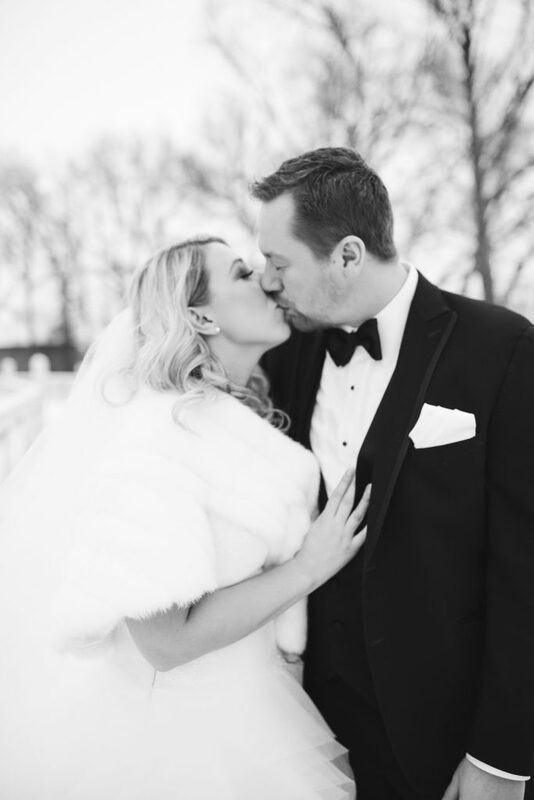 Are you planning a winter wedding? I would love to assist you plan a magical wedding day like Savanna and Nicks! 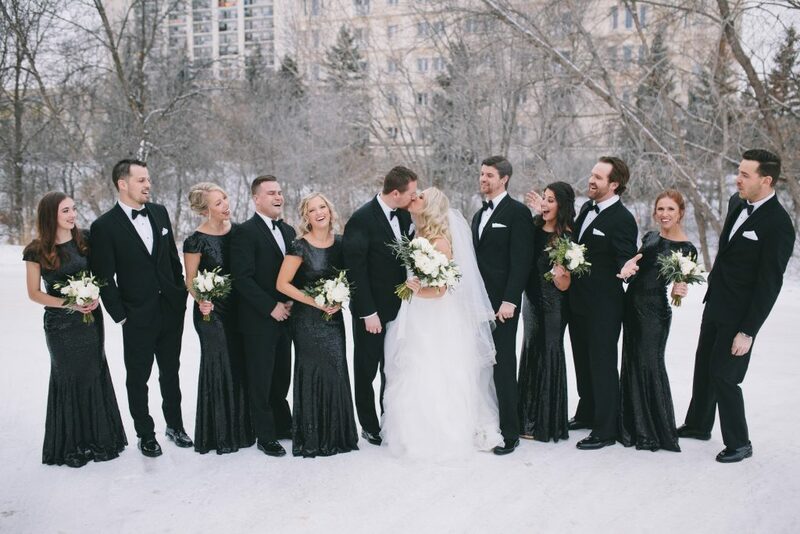 Contact me at alex@alweddingswinnipeg.com to arrange a complimentary initial meeting. CLICK HERE TO SEE SAVANNA AND NICKS WEDDING VIDEO!